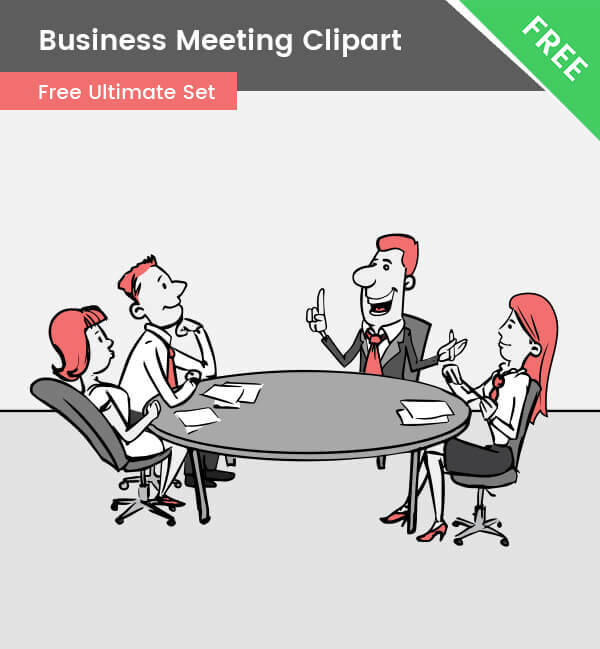 A cartoon business meeting clipart that will definitely grab the attention of your audience. This illustration is made of vector shapes and it is available for free. This clipart is showing a business team at a meeting. There are 4 business characters on that meeting – 2 men and 2 women. They are all friendly and smart – they will definitely find a way to boost the business.